UPDATE: Bancroft OPP caught the man and retrieved the stolen car last evening (September 2nd) on Highway 28. Charged with robbery is 32-year-old Luke Begley of Cobourg. On 02Sep12 at approximately 1200 hrs, a female was sitting in her car waiting for friends on Victory Drive near Dobbin Ave. A male approached the female and asked her for a ride, which she declined. The male then walked away. The same male returned and opened the car door and took a hold of the victims arm and pulled her from the car. The male then got in the car and drove away. The female was not physically injured in this incident. The vehicle is still outstanding. It is a 2002 Toyota Camry, 4-door, grey in colour with Ontario Licence plates ANBE349. 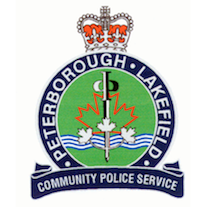 The suspect is described as male white, 30s, approximately 5’6” tall, med build, clean shaven, short dark hair and possibly wearing a dark coloured ‘T’ shirt. Police are requesting any witnesses to call City Police at 705-876-1122 or crimestoppers at 1-800-222-TIPS.